In the hustle and bustle of city life, maintaining a highly successful career and spending quality time with the family takes precedence over everything else. Keeping fit more often than not gets a low priority. Now more than ever, people need to maintain a healthy and balanced lifestyle, but find it difficult to do so because of proximity, parking problems or traffic. 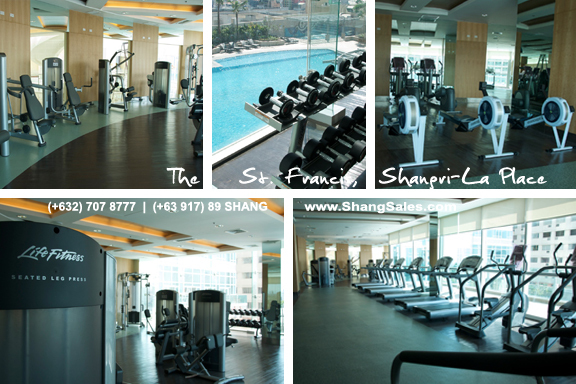 The St. Francis, Shangri-La Place may be the perfect place to live for today’s generation who leads very full, very active, and sometimes very stressful lifestyles. 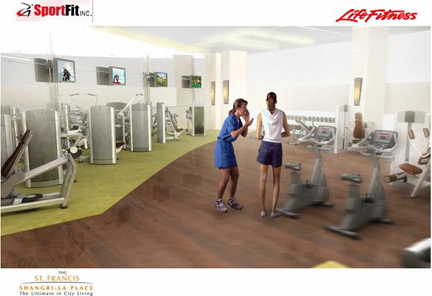 The gym will have a wide range of top-of-the-line equipment from LifeFitness, with almost 50 different apparatus, so users do not have to wait long for their turn, a common complaint about huge fitness establishments. 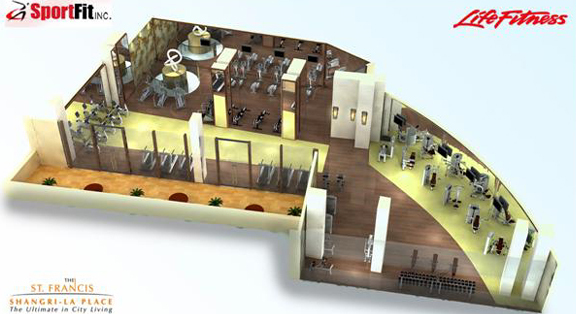 Large and spacious at over 420 sqm, the gym can accommodate 50 people simultaneously working out at any given time, using the latest technology in treadmills, cross trainers, recumbent and upright bikes and rowers, to name a few. Other features are an aerobics room, sauna and steam baths, spa, male and female changing rooms and lockers, as well as hot and cold Jacuzzis, adult and children’s swimming pools. 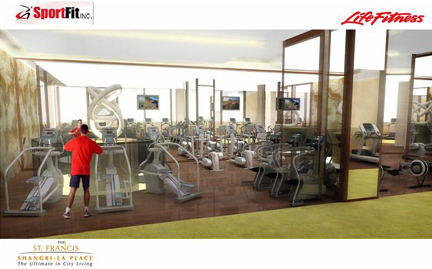 Built at a cost of over P200 Million, the two-level St. Francis clubhouse occupies a total area of over 5,000 sqm, and is a further enhancement to the Shangri-La Place integrated community, making it possible to keep a healthy lifestyle while living in the most luxurious and convenient premises. Its amenities are suitable for parties and offer family recreation like karaoke and music room, game hall with billiard table, a podium garden, jogging path, wisdom corner, and videogame room. On the same level where the gym is located, there is also a table tennis room and a children’s play area so that couples can spend quality time by keeping fit together, secure in the knowledge that their kids are safe and enjoying themselves in the next room. 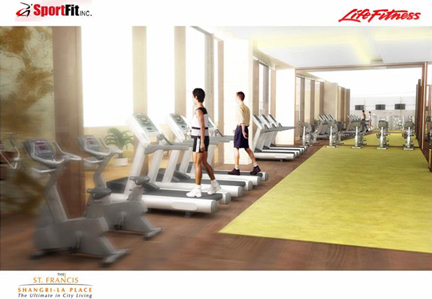 The St. Francis Towers, Shangri-La Place is strategically located at the heart of the bustling Ortigas district. Its prime location gives unit owners’ access to the five-star services of the Edsa Shangri-La Hotel and Shangri-La Plaza Mall’s wide range of upscale shopping choices, entertainment venues, and dining options. The twin 60-storey residential high-rise will start turnover by April 2009. 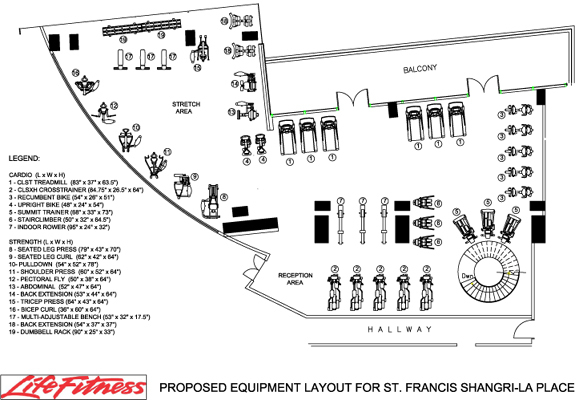 For more information, call 622-7100 or (0917) 897-4264 or visit www.ShangSales.com Visit the St. Francis, Shangri-La Place Showroom located at Level 1, Shangri-La Plaza Mall Annex, Edsa corner Shaw Boulevard, Mandaluyong City or email info@ShangSales.com Property Consultant Aileen Rojas will be ready to assist you for reservations and inquiries. 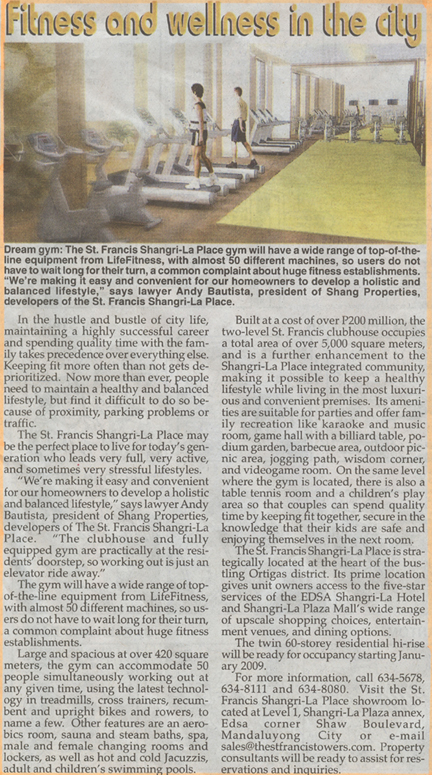 Dream gym: The St. Francis, Shangri-La Place gym will have a wide range of top-of-the-line equipment from LifeFitness, with almost 50 different machines, so users do not have to wait long for their turn, a common complaint about huge fitness establishments. "We're making it easy and convenient for our homeowners to develop a holistic and balanced lifestyle," said Atty. Andy Bautista, President of Shang Properties, developers of The St. Francis, Shangri-La Place. Some text and newspaper clippings were taken from Manila Bulletin (Nov. 4, 2008) and Philippine Star (Nov. 4, 2008). Pictures were not taken from the actual building.